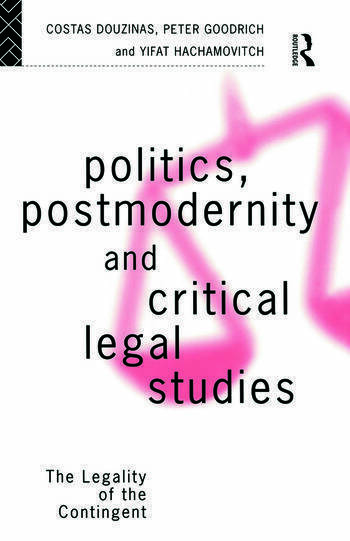 This timely and assured book provides a unique guide to critical legal studies which is one of the most exciting developments within contemporary jurisprudence. It is the first book to systematically apply a critical philosophy to the substance of common law. The book develops a coruscating and interdisciplinary overview of the politics and cultural significance of the institutions of the law.